Richard Ansdell was born to Thomas Griffiths Ansdell, a ship’s pulley block maker at Liverpool docks, and Anne (nee Jackson) a seamstress. His father died when he was young and he was educated at the Bluecoat School (for orphans). When he left school he trained in art under W. C. Smith, profile and portrait painter of Chatham, Kent. Thereafter he went to Holland, painting signs for a circus. In 1836 he became a student at the Liverpool Academy and eventually became President in 1845. Prior to this he had married Maria Romer (a Liverpool girl) and they went on to have eleven children – only one dying in infancy. By 1840 he had already exhibited two pictures (“Grouse Shooting: Lunch on the Moors” and “A Galloway Farm”) at the Royal Academy in London. – his largest commission at this time being “The Country Meeting of the Royal Agricultural Society at Bristol” – 16 feet long including 125 separate portraits. Between 1840 and 1885 he exhibited pictures at the Royal Academy every year (149 in all) and also exhibited some 30 canvases at the British Institution. His popularity was established by two paintings in particular: “The Combat” – two red stags locked in battle; and “The Fight for the Standard at the Battle of Waterloo” being a lifesized depiction of Sgt. Ewart of the Scots Greys grappling for the French Standard at the battle. This huge picture (13 feet X 11 feet) now hangs in the Great Hall of Edinburgh Castle. In 1847 he left his native Liverpool and moved to Kensington, eventually living in a large house called Lytham House after his beloved Lytham St. Annes in Lancashire where he also had a sizeable residence called Starr Hills. Nowadays the area of the town around Starr Hills is called ‘Ansdell’ after him – as is a street in Kensington. Richard Ansdell was elected Associate of the Royal Academy in 1861 and Royal Academician in 1870. He became one of the most successful Victorian sporting artists, collaborating on huge canvases with artists such as Thomas Creswick (1811 – 1869) and William Powell Frith (1819 – 1909) placing the animals into their landscapes. In 1861 Ansdell produced one of his masterpieces “The Hunted Slaves” – a very effective and popular piece of melodrama (after a Longfellow poem – “The Dismal Swamp”) with an anti slave trade message. Now in the International Slavery Museum. After he had discovered Scotland and had built his own Lodge there on the banks of Loch Laggan, he spent time north of the border whenever he could – painting many Scottish subjects – stags in glens, sheep on hillsides, moorland/mountain scenes, sheep-dipping, everyday scenes in a shepherd’s life, shooting parties. Many of his paintings were engraved for reproduction and sale on the mass market thus producing valuable income to the artist and ensuring publicity both in the United Kingdom and also in America. Ansdell was extremely prolific and hitherto unknown paintings are always coming to light; having been undocumented in family collections since Victorian times. He painted a wide variety of sporting, animal and romantic narrative subjects, and was especially noted for his depiction of many breeds of dogs – executed in fine, realistic detail with a sound knowledge of the subject. He died at Collingwood Tower near Frimley in Surrey – the last mansion he built truly reflecting his remarkable success as an artist. 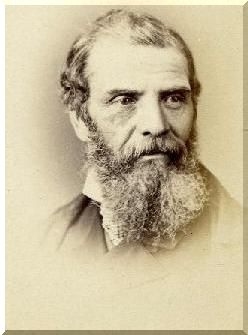 Popular as a person as well as an artist, he preferred to be known as a Victorian “professional artist”, being realistic, level-headed and loyal to friends and family. He is buried, modestly, in a family plot at Brookwood Cemetery near Woking in Surrey.